The arrival of Israeli winger Manor Solomon and Brazilian winger Tetê halfway through point towards a soft-rebuild at Shakhtar Donetsk. In fact, for the first time since going into forced exile due to the conflict in the Donbass Shakhtar have made significant investments in their squad. Earning €69 million from selling the likes of Fred and Yaroslav Rakitskiy this season Shakhtar took a big portion of that money and spent €41.2 million in new players. Brazilian winger Tetê, in fact, cost the club €15 million. The squad turnover is the sort of gamble that can be found on NJ Bets reviews. Low risk but high reward, especially as Shakhtar are already out of Europe after losing to Eintracht Frankfurt in the round of 32 of the Europa League. What remains is the Ukrainian Premier League this season, a competition that Shakhtar have dominated at will over the last two seasons. Hence, head coach Paulo Fonseca can now use the time to slowly integrate winter signings like Manor Solomon and Tetê but also summer signings Maycon, Fernando, Marcos Antônio and Marquinhos Cipriano. Overall, Shakhtar have signed five new Brazilian faces this season, six if one includes Júnior Moraes, who joined the club from Dynamo Kyiv last summer and has since taken on Ukrainian citizenship. Shakhtar’s strategy to find young Brazilians and sell them on to clubs in Western Europe is not new. Hence, the arrival of a small army of new Brazilian signings is not a major surprise. In fact, it makes Israeli forward Manor Solomon stick out, even more, when it comes to Shakhtar’s winter arrivals. Furthermore, while the likes of Tetê, Fernando, Marquinhos Cipriano and Marcos Antônio still need time to develop Manor Solomon, despite being still just 19, arrived at the club and was right away given significant playing time. Against Eintracht Frankfurt, Manor Solomon came off the bench in the first leg and started in the second leg. Ultimately, he could not make a difference, however, as Shakhtar were beaten 4-1 by an Eintracht Frankfurt side that has since become one of the favourites to win the Europa League this season. Nonetheless, Manor Solomon showed glimpses of what he could provide Shakhtar Donetsk going forward. The 19-year-old, who made his debut in the Ligat ha’Al for his youth club Maccabi Petah Tikva back in November 2016 as a 17-year-old can play at both wings and brings significant speed to Shakhtar. Speed that the club needs as Marlos and Taison are approaching their mid-30s and given that the Miners are built on a quick transition game identifying players that could replace either was an important aspect when it came to sign Manor Solomon. Another aspect was his relative experience. Solomon might be just 19 but he has already featured in 73 Ligat ha’Al games for Petah Tikva scoring eight goals and six assists. Numbers that convinced Shakhtar Donetsk to pay €6 million for the winger. “I decided to move to Shakhtar (Donetsk) because that they made me feel that they really wanted me and I think that it’s a big club with a lot of goals and a club that participates every year in the (UEFA) Champions League or (UEFA) Europa League and I thought that it’s the right place for me to develop and to become a better player,” Manor Solomon told Fox Sports. “Paulo Fonseca and the (coaching) staff demand a lot from the players (at the club), but they help us to give our (fullest of) abilities and they try to teach you in every training (session) what they want from you,” Solomon added. Back in Israel, in fact, he is being already compared to another former Shakhtar great: the Brazilian forward Douglas Costa. Douglas Costa made headlines at Shakhtar before moving west to play for Bayern and Juventus, and many in Israel hope that Manor Solomon will have a similar development. Like the Brazilian winger Manor Solomon is a pure dribbler. This season, playing in Israel, for the national team and Shakhtar, the winger managed to complete 77.5% of his on average 8.39 dribbles per game. He also won 44.9% of his 26.99 duels per 90 minutes and completed 87.1% of his on average 34.84 passes and 34.3% of his on average 2.42 crosses per game. 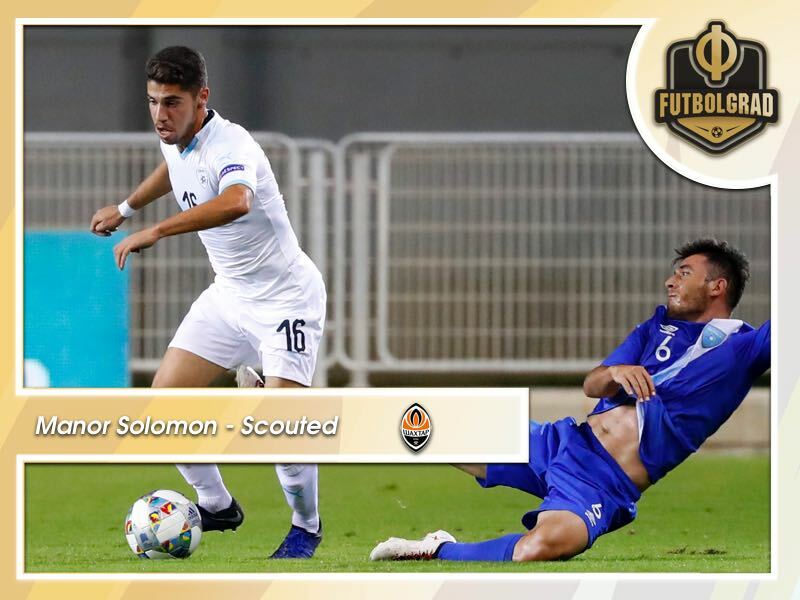 In other words, Solomon is a dynamic forward that can cause significant chaos among the backlines of Shakhtar’s opponents. But Solomon has something else in common with Douglas Costa. 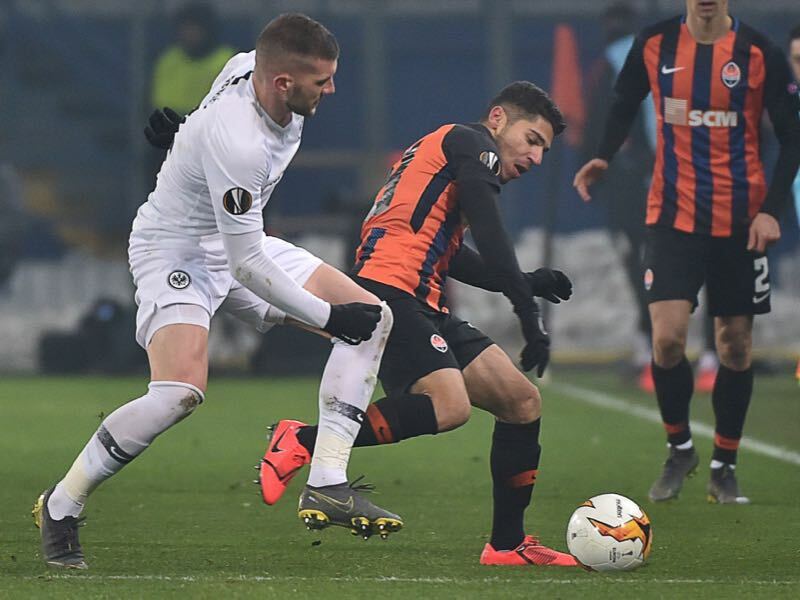 Like the Brazilian, his attacking output could be better, at times the Israeli teenager puts the show over productivity something that Paulo Fonseca will want to improve before Shakhtar return to Europe next season.